Hasbro today (Friday, February 8, 2019) confirmed during their Q4 2018 financial results investors call that Nickelodeon USA is set to premiere Power Rangers Beast Morphers, the latest season of the iconic Power Rangers franchise, "later this Spring"! Additionally, the global play and entertainment company, which acquired the Power Rangers franchise from Saban last year, revealed that they'll be releasing their Power Rangers Beast Morphers consumer product line during the second quarter of 2019, and that they're currently in talks with Paramount to make a second Power Rangers movie! 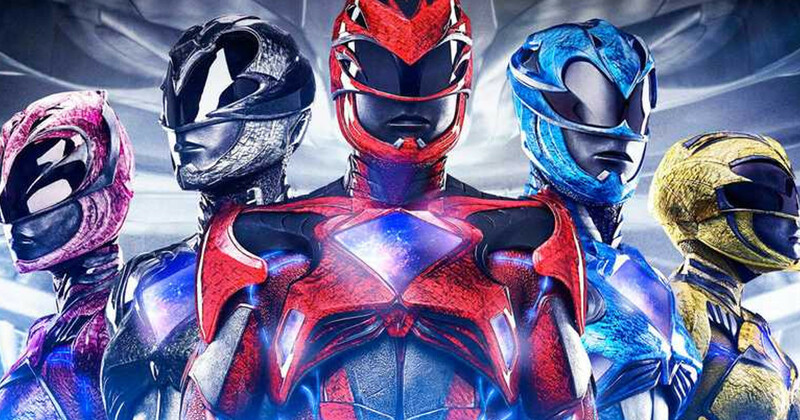 "In terms of Power Rangers, we are incredibly excited. We have our new series that will launch later this Spring called Beast Morphers, for Power Rangers. The product line is extensive. It has now been shown around the world at multiple toy fairs and retailers are very excited. Our consumer products teams are really stepping up behind that excitement, so this is a new original series. It's produced by the same team that produced Power Rangers before albeit with new energy and a connection between our teams and the original core Saban team, that's really just tremendous. We're incredibly excited. It will launch in North America in Q2 and then launches in the rest of the world throughout the remainder of the year. So it's a rollout, obviously English-speaking territories before it goes to translated territories, in terms of language." "We have a great partnership with Nickelodeon and we have a commitment from them. Great new leadership at Nickelodeon with Ryan Robbins and the team, and Bob Bakish has been incredibly supportive of our efforts there and also our efforts at Paramount parenthetically where we would produce the movie alongside our relationship with Transformers and other films. So they have a great team there and we feel very strong with our opportunity to work with them and build this brand together." The 2020 plans and beyond are even more robust because we get it for a full year and then we do intend to add a movie to the mix in the next few years and so. Again, we will build this brand. This brand had been far bigger in the past than what it was at present and we feel like there is a lot of opportunity. It reminds me of a lot of the early days of some of our Hasbro brands where we looked at how big they have been in their history and asked ourselves how big could we make this in the future. We believe in the power and potential of Power Rangers. Hasbro originally announced plans for the new Power Rangers movie during an investors call in August 2018. 2017’s Saban’s Power Rangers movie follows five ordinary teens who must become something extraordinary when they learn that their small town of Angel Grove – and the world- is on the verge of being obliterated by an alien threat. Chosen by destiny, our heroes quickly discover they are the only ones who can save the planet. But to do so, they will have to overcome their real-life issues and before it’s too late, band together as the Power Rangers. The film brought in $142 million worldwide and starred Dacre Montgomery, Naomi Scott, RJ Cyler, Ludi Lin and Becky G as the five Rangers, with Elizabeth Banks as Rita Repulsa, Bryan Cranston as the voice of Zordon, and Bill Hader as the voice of Alpha 5. Hasbro is best known for working with Paramount to produce all of the recent Transformers movies, including Bumblebee, which released in December 2018. Hasbro has also granted Paramount Pictures major motion picture releases to franchises such as My Little Pony and G.I. Joe in recent years. The new Power Rangers movie also could also be released under the Nickelodeon Movies label, as both Nickelodeon and Paramount are owned by Viacom, and Nickelodeon airs the Power Rangers series. No further information was revealed, so at the moment we don't know when the movie could be releasing (likely no sooner than 2021) and at this time, is not publicly confirmed whether or not the movie will be a sequel to Lionsgate’s feature film released in 2017, or a reboot the movie franchise entirely. Hasbro could choose to find success by rebooting the movie franchise entirely – with a new cast, new suit designs, new Zords, and more. Although, the further we get from the 2017 movie the harder and less practical it becomes to get that cast back together. Hasbro recently acquired the Power Rangers property in full from Saban Brands for $522 million in early May 2018. Originally published: Thursday, February 7, 2019 at 12:10am GMT. Sources: Cosmic Book News, Power Rangers NOW, Comic Book.